As the TV series Buffy the Vampire Slayer hammered into our heads for so many years, high school is literally hell. But for those of us who grew up in a simpler time, instead of YouTube beefs and social media shenanigans, we looked to the Golden Age of Teen Movies to help us navigate through a frightening new world. 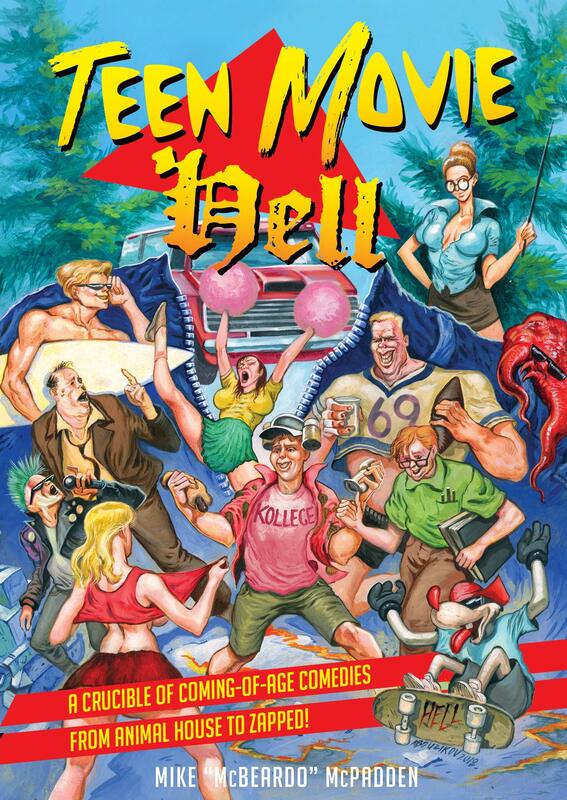 The new book from Mike McPadden, Teen Movie Hell, serves as a guidebook to all the teen-oriented films that permeated Cinemax and HBO back when “binge-watching” meant leaving the television turned to movie channels instead of MTV. And, if you ask me, it’s about time! If there is an underlying premise to this catalog of cinematic delights, it’s that even the most outwardly exploitative movies geared to teenagers were evidence and validation of our own sexual agency. However, this is not a book for reading from beginning to end. There are two appropriate places to have this book: next to the television set or in the bathroom for casual reading, instead of re-enacting the infamous Judge Reinhold scene from Fast Times at Ridgemont High. In fact, for those times when you’ll be in the loo longer than expected, there are a few entertaining essays at the beginning that point out exactly why this entire genre is important, especially when it was inadvertently reassuring teens that they were more normal than not. Perhaps the most fun part of this book, for me, was seeing names I vaguely remembered from shredded copies of 16 and Tiger Beat, as well as being reminded of entire sub-genres I’d forgotten (like how it seemed like there were more movies about summer camp than there were people who actually attended summer camp). It’s obvious that these campy delights helped shape the boy who grew into the man McBeardo, just as they shaped a world view for so many of us. I highly recommend this book for the movie buff or former Eighties teen in your life. Whether you were a Heather or The Last American Virgin, there are plenty of memories and new discoveries within the pages of Teen Movie Hell. Marie Braden is the host of the radio show Postcards From The Wasteland on akaradio.com.